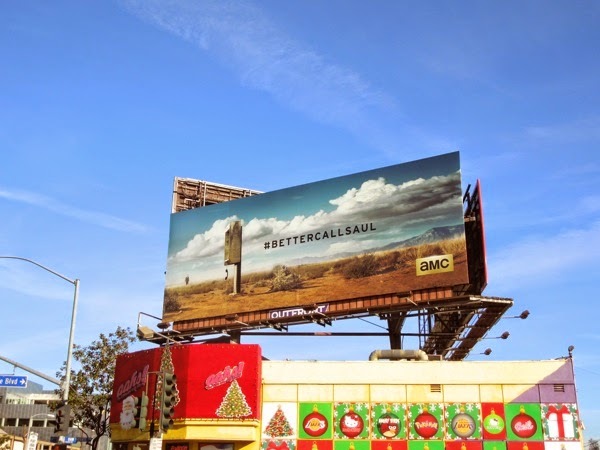 Looks like there's a storm brewing as 'Saul Goodman' wanders the New Mexico Desert in Breaking Bad's highly-anticipated spin-off series, Better Call Saul. 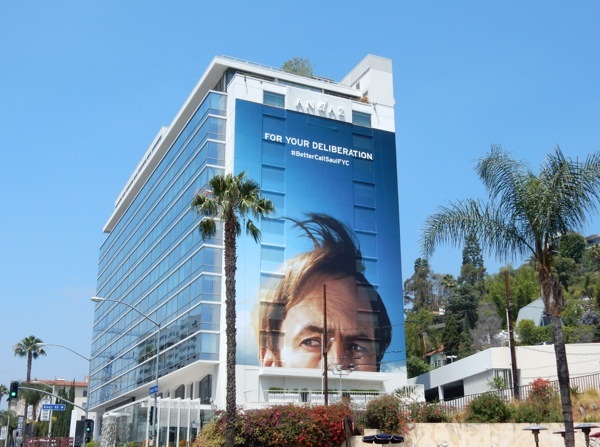 Set six years before his appearance on Breaking Bad's season two episode of the same name as the new series, Bob Odenkirk reprises his role as the corrupt small-time lawyer (also known as 'Jimmy McGill') and explores his life before he ever became 'Walter White's' lawyer. 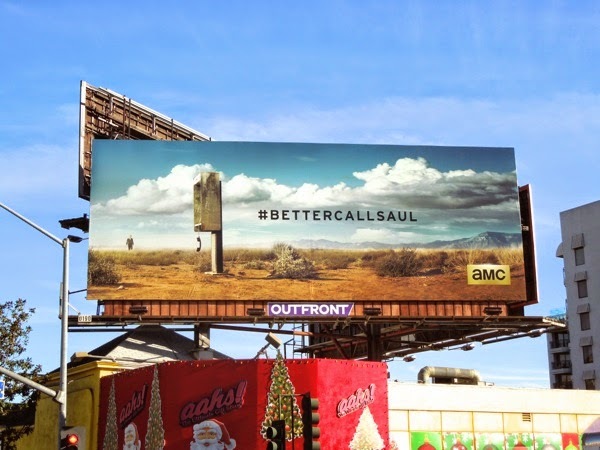 These atmospheric teaser billboards for the new AMC prequel show were snapped in two locations along West Hollywood's Sunset Strip on December 8, 2014, and by the looks of things with that desert payphone, Albuquerque is calling. 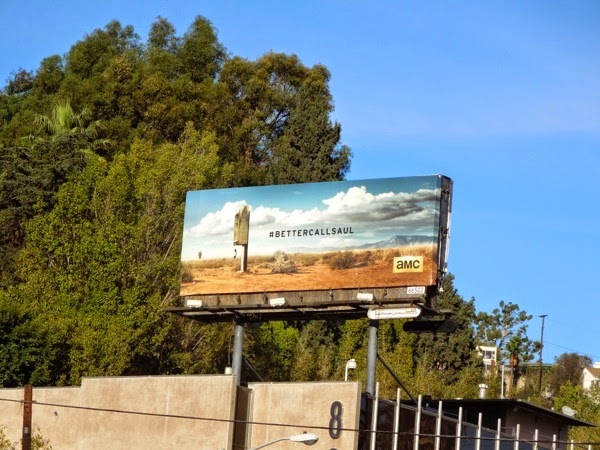 If you're a fan of the parent show, be sure to also check out all these Breaking Bad season promo billboards gracing the skies in the past few years in Los Angeles. 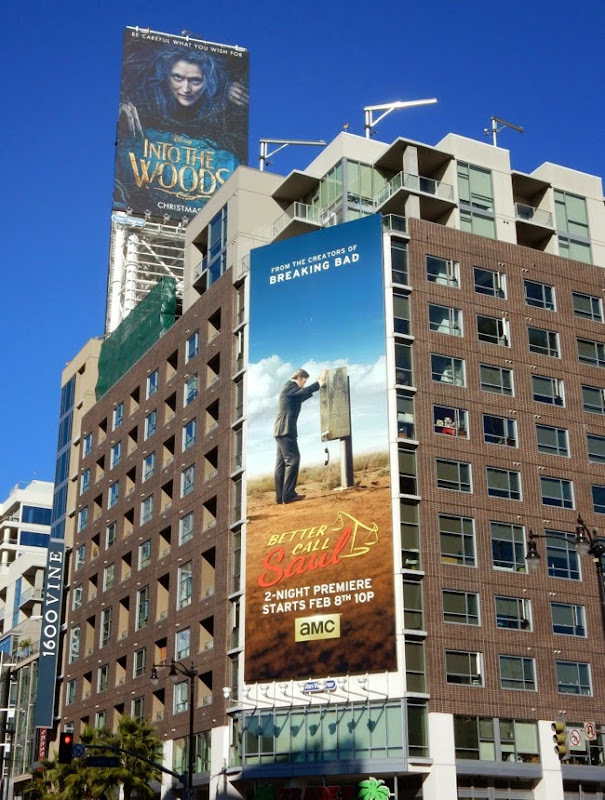 Are you looking forward to the show abut the guy who puts the 'criminal' in 'criminal lawyer'? Daily Billboard is sure that AMC is hoping for a winner after Breaking Bad has already gone off the air and Mad Men is soon to follow. 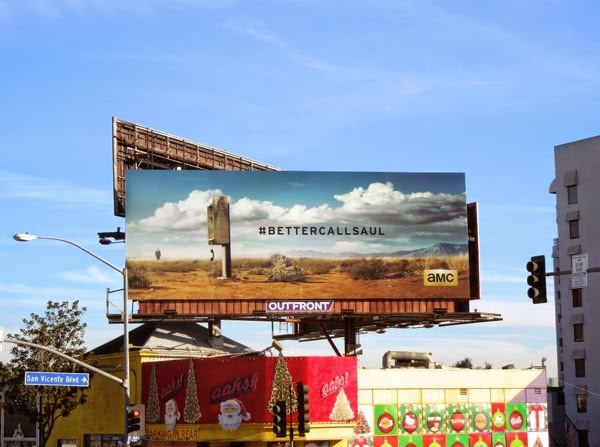 UPDATED: You had the tease and now here's the reveal as Saul Goodman has made his way through the desert wilderness to the payphone. 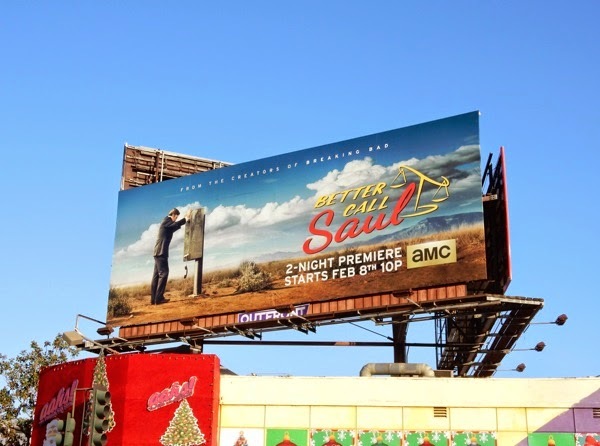 This series premiere billboard with the show's scales of justice-themed title (or are those scales for weighing drugs?) 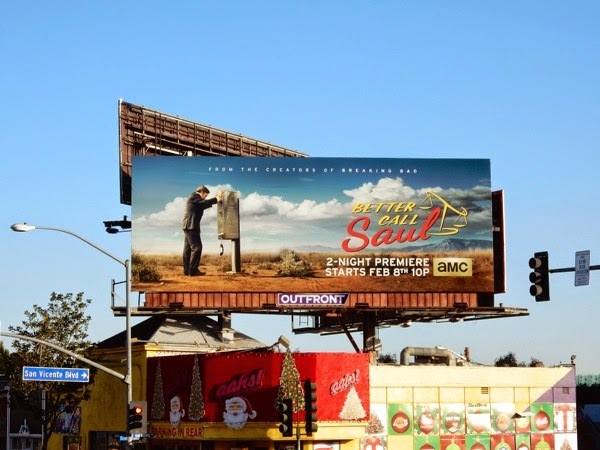 was snapped along Sunset Boulevard on December 31, 2014. 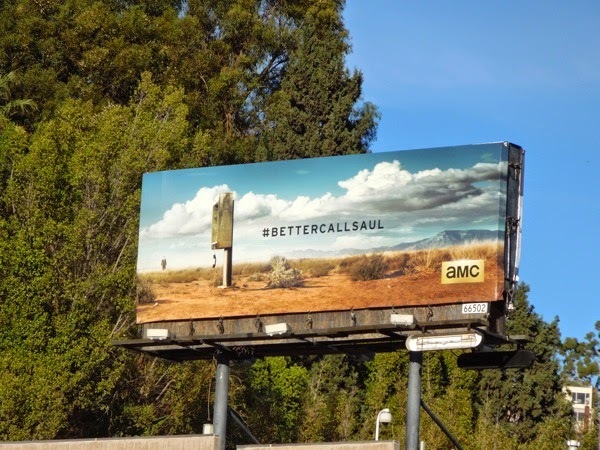 UPDATED: It looks like as the series debut draws closer AMC are pulling out all the stops to get you to notice their Breaking Bad spin-off. 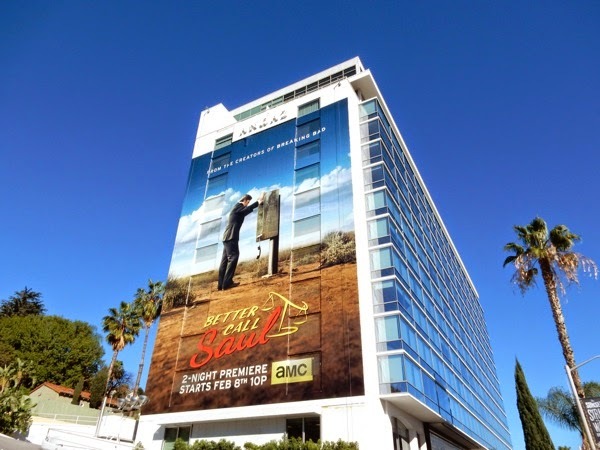 These giant-sized ad creatives for Better Call Saul certainly stand out on the side of the Andaz Hotel along West Hollywood's heavily travelled Sunset Strip and near Sunset & Vine in Hollywood on January 23, 2015. 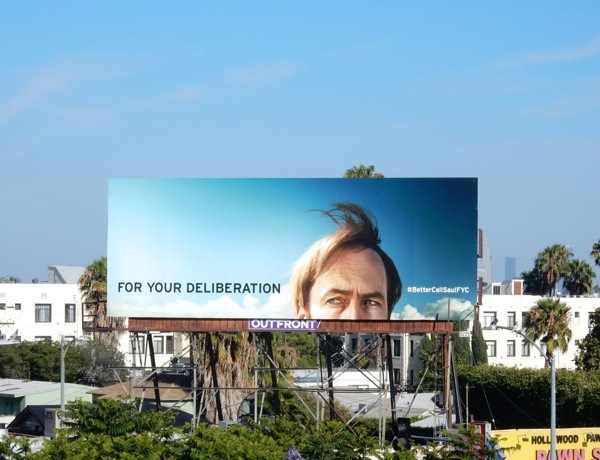 UPDATED: Now that the first season is over, here's the fun 'For Your Deliberation' Emmy 2015 billboard campaign for the show. 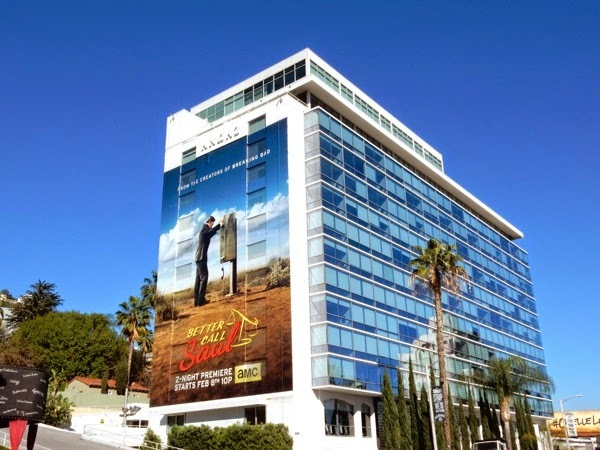 This giant billboard was snapped on the westbound side of the Andaz Hotel in West Hollywood on May 28, whilst the landscape creative was spotted along Vine Street in Hollywood on May 30, 2015.